MSU demonstrates its accounting research leadership in the Brigham Young University accounting rankings for 2017 that have recently been released. Spartan researchers are among the top 20 for all research topics and methods over all time periods studied, and among the top 10 in management accounting research over the past 12 years. Our faculty researchers are #7 for the breadth of their research over all time periods studied. Likewise, looking at doctoral graduates, MSU is among the top 20 for all research topics and methods over all time periods studied, and among the top five over the past six years in the area of management accounting. The research breadth of the past three years of recent PhD graduates was among the top five. 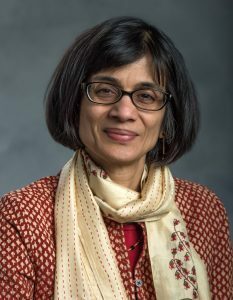 The Department of Accounting and Information Systems also boasts the #5 managerial accounting researcher over the past 12 years: Ranjani Krishnan, the Ernest W. & Robert W. Schaberg Endowed Chair in Accounting.